I know we don’t typically discuss card games here at Operation Rainfall, but this one merited some discussion. When I heard that Magic the Gathering teamed up with well known property Puzzle Quest to create a new game, my curiosity was kindled. I couldn’t imagine such a joining, but once I saw it in action, it made perfect sense. Better yet, it looks to be a fantastic, albeit complex, new entry in the Puzzle Quest series. First things first. You should know that MTG Puzzle Quest will initially be mobile, but the team has designs to perhaps one day see the game on Steam as well. Regardless, this new Puzzle Quest looks optimized to work with mobile devices. Furthermore, the first iteration of the game will focus on the Zendrikar MTG block, so those unfamiliar with the game may see a lot of creatures they aren’t familiar with. On the plus side, the D3 team has done such a good job meshing the world of Magic and Puzzle Quest that you won’t really care if there are no Moxes or Black Lotus cards to use. And yes, you do use cards in the game. 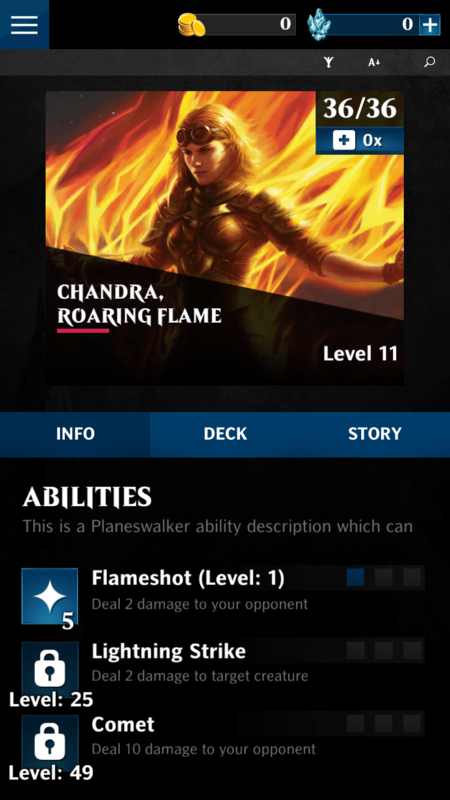 You draw from a deck each turn, and you can utilize spells and monsters to achieve victory. Just like in the Magic TCG, these are powered by energy. Cue the Puzzle Quest penchant for matching gems to acquire resources. It really is a match made in heaven. That said, there are concessions to the format that were made. 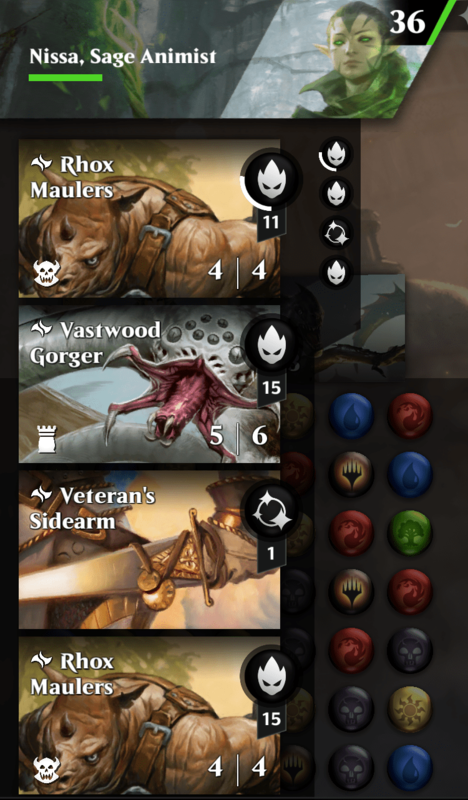 Those of you who like swarm decks might be disappointed, as you can only marshal 3 creatures to the field at a time. While this might initially seem disappointing, it makes a lot of sense from a programming perspective. Furthermore, it allows for intricate strategies that might not exist in the typical Magic match. Another newish aspect is that you play as one of several Plainswalkers, each with different abilities and strengths and weaknesses, as well as Mana affiliations. Lest longtime MTG players fear this is a dumbed down version of their baby, fear not. There are many complex features that translate from the card game to MTG Puzzle Quest. Better yet, there is a story mode with many quests to teach you how to play the game, as well as an eventual multiplayer mode and free play. Another way MTG Puzzle Quest stays true to form is that there will be new sets of cards rolled out every few months to keep up with the card game. The team will constantly be working on bug fixes and little tweaks to make the game more convenient, as well. 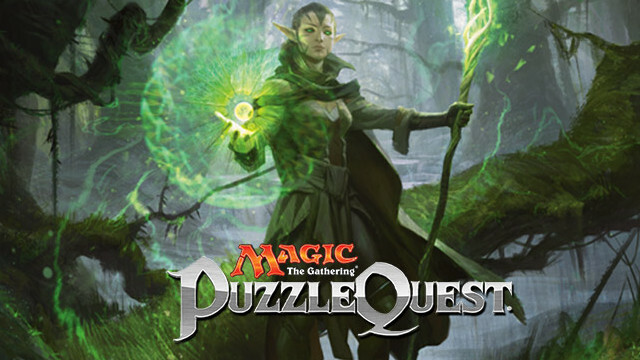 I wish I could go into more detail, but I am far more familiar with the world of Puzzle Quest than Magic the Gathering. Nevertheless, I found this to be a compelling new game, and if it makes its way to Steam, I will be one of the first ones purchasing it. Mobile fans owe it to yourself to check this one out.